I'm already a pro at embarrassing my dog child. 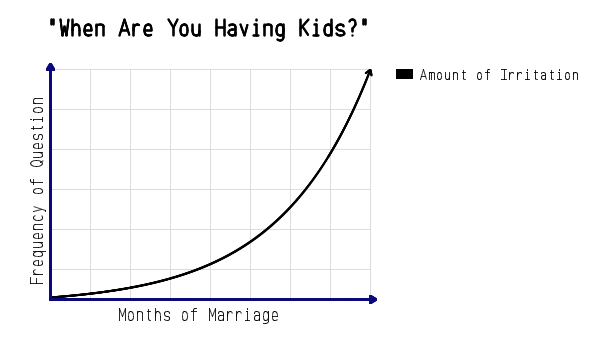 That being said, we're well-aware of the likelihood that we will have trouble having kids, if we choose to have them. Endometriosis is one of the leading causes of infertility among women, due to scarring, adhesions and generally lower egg quality. I don't know the exact stats, but I've read that even women with Stage I and II endometriosis have only a two percent chance of conceiving during a menstrual cycle. That's also not to mention the higher risks of miscarriage, premature birth, ectopic pregnancy and other complications that studies find in women with endo. 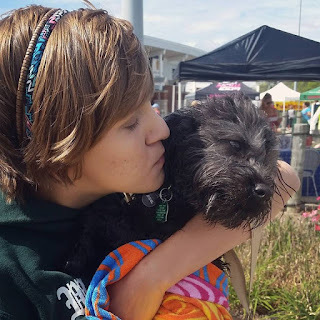 Since my typical reaction to children is still "oh god, get that thing away from me," I don't go through the emotional turmoil of knowing it will be difficult, if not impossible, for me to have kids naturally. 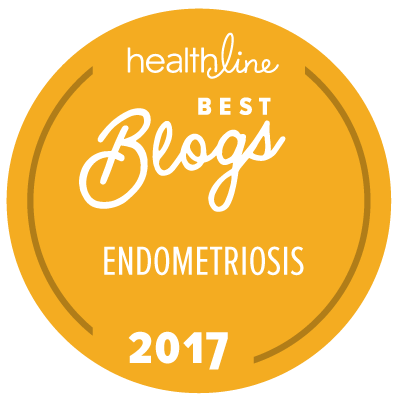 But every so often, I do feel a twinge of embarrassment or general discomfort that many women with endometriosis feel when they hear the incomprehensibly frequent question, "When are you having kids?" I am the youngest person in my office, so I very much understand how people, especially acquaintances or strangers, bond over talking about their children. Since I have little to contribute in the way of children stories (and, shockingly, parents don't appreciate you comparing your adorable, yet precocious, puppy to their toddler! ), I participate as much as I can in these conversations but try to let the parents do the talking. At first, I laughed it off. My, what a silly, silly question to ask someone who has been married just a few months! They must be joking and just trying to show interest in my recent nuptials. Oh, how droll! But after some time, I realized this question was never, ever going to go away, even as my ability to have children, and my interest in having them, remained a question mark. So, as I became increasingly frustrated with the state of my uterus, and as these questions became more prying and intrusive, I started being honest. Not so much for me (because, as I said, we're not interested in kids yet), but for women who 1) definitely can't get pregnant, 2) have lost a pregnancy or 3) just really, really don't want kids. "Well, actually, I'm not sure if I can even have kids. 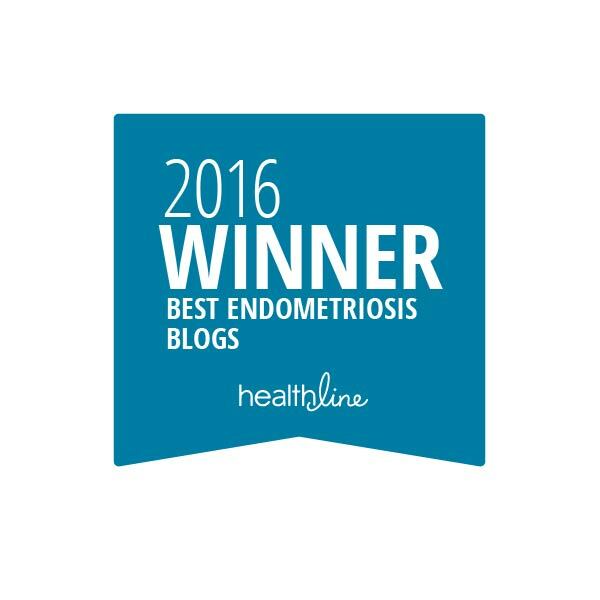 I have this condition called 'endometriosis,' and..."
And of course, people felt bad. And being the way that I am, I felt bad that they felt bad. But I guess I really shouldn't because, I mean, it's just not a nice question to ask someone ever. "How is your uterus? Is it healthy enough to be a full-blown, baby-making factory? Will you be carrying on your husband's lineage and producing an heir, as your female species is called to do?!" I mean, even if you can have kids with no issue, when is this ever a polite question? Honestly, I do try to not get offended over things like this. Most people have good intentions, and those who don't I usually don't associate myself with anyway. I have a few friends who had miscarriages in their very early 20's. Until I was diagnosed with endo, I thought miscarriages weren't a common occurrence, especially not among young women. Well, no duh, it's probably because no one wants to talk about losing a baby. Especially not when damn near strangers are asking about their ability to conceive a child. Beyond that, there are women out there who are devastated by the fact they are having trouble getting pregnant or just can't have kids naturally. There are women who desperately want to be mothers and just can't at that moment, for reasons that may have nothing to do with their fertility. And when someone asks about when they're having a baby, that just inflates those emotions all the more. 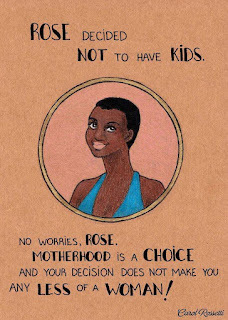 There just seems to be a pervasive attitude behind this question that says if you're a woman without children, there has got to be something "wrong" with you. That's further fueled by a culture that doesn't really know what to think about childless women. My two best friends, as I think I've mentioned before, are very certain they don't want children. And they constantly hear things like "Oh, you'll change your mind when you find the right man," or "Your biological clock will start ticking," or, my personal favorite, "You're just not really a woman until you have children." Seriously? Can we not trust women to be the best stewards of their own bodies? To decide for themselves what makes them happy? To know the best choice for their own lives? I'm sure no one thinks about things like this when they ask that invasive and very personal question, but they really ought to start thinking about them. Maybe that woman had some bad experience with children or parenthood and is very certain she doesn't want kids. Or maybe she just had a miscarriage, pulled herself together to make it to work that day and had to hear someone ask that question. Or maybe she's like me, and she just really doesn't want someone who isn't her doctor to inquire about the state of her uterus. 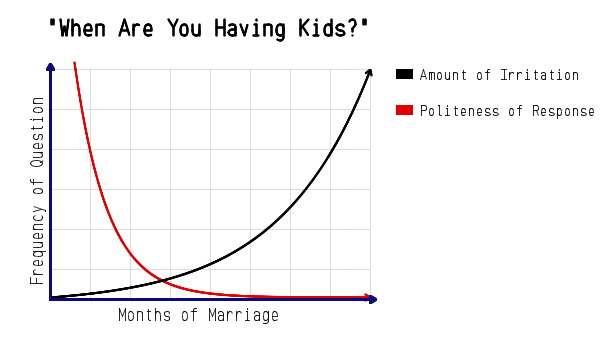 So here are a few suggestions of what to ask a woman, other than "When are you having kids?" Did you see that movie that just came out? Do you have any pets or perhaps a potted plant that you really like? Do you enjoy sports and athletic activities? Have you ever been to a place that isn't where we are standing right now? How many episodes of Lost did you try to watch before giving up? 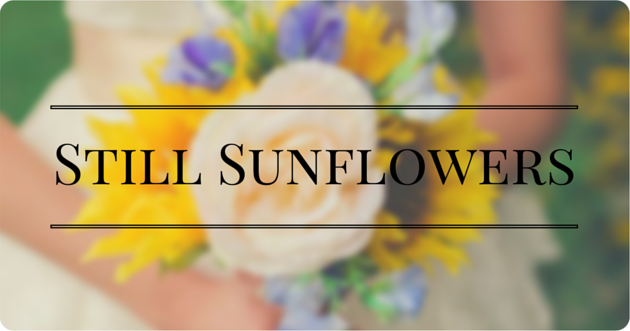 The possibilities are truly endless because a woman is more than her choice in motherhood. Motherhood is an incredibly wonderful, rewarding, powerful and inspiring thing, if you choose it for yourself. But your life can be equally beautiful without raising a child. 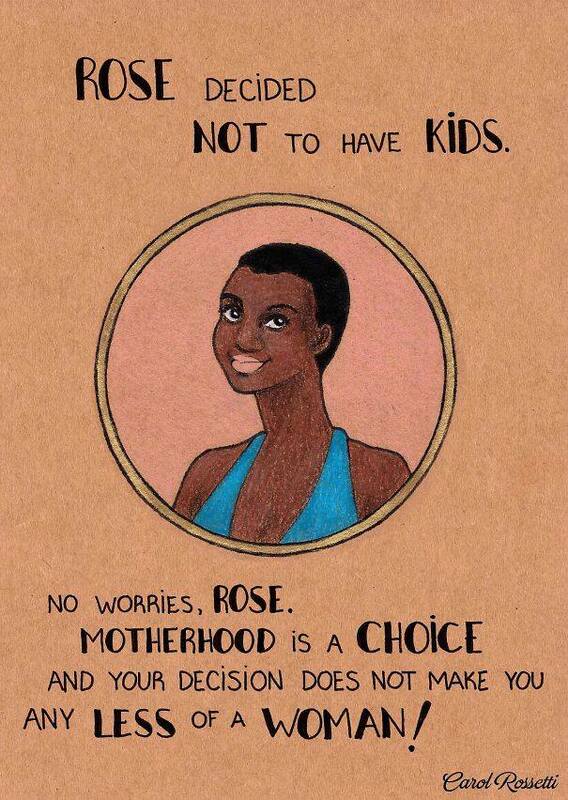 And it doesn't make you any better or worse than those who choose to be a mom. So next time you want to ask a woman this question, please stop. Don't ask about kids, unless she brings it up. Even if you're 99 percent sure she might be pregnant, don't do it. She will talk about it when she wants to and if she doesn't want to, well, she doesn't want to. Thank you for participating in this very important public service announcement. I do have a potted plant I'm very attached to, thank you for asking! I sprouted lemon seeds from some local co-op lemons, and they grew! And didn't die! So I have three foot-high lemon saplings! And this: I appreciate this post. As a woman without endo who struggled to get pregame once... Wanting to have a baby but listening to "are you going to start a family?!" Is the worst kind of catch 22. Even though most people mean it in the very best way possible. Thank you for this well thought out response to that oh so annoying question.